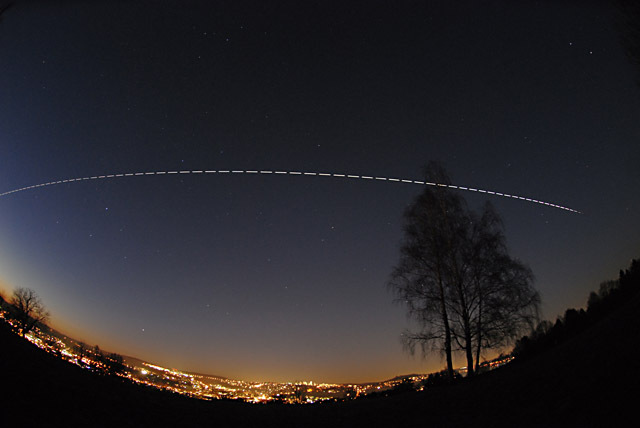 The International Space Station (ISS) glides above the northern horizon of Tübingen in southern Germany. It is brilliantly visible due to brightly reflected sunlight. The ISS vanishes above the north-eastern horizon when it enters earths shadow (right hand side). The astronauts onboard might had a nice sunset at this time, however, they can enjoy this every 1.5 hours! One orbit only takes this time.